You can secure pockets to your wall with nails or screws. Standalone Floridea pockets and vertical systems require two points to sequre, while horizontal systems require four. 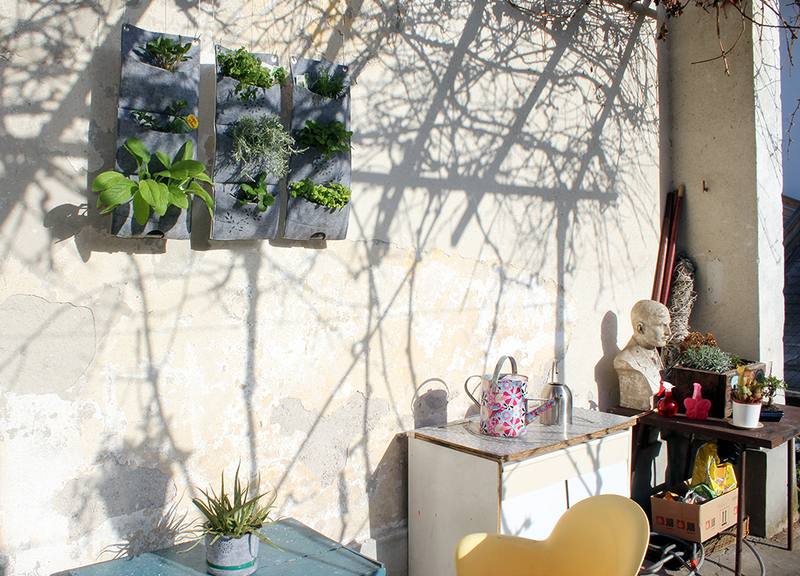 Of course you can set up the green wall in your own way for different surfaces: hang them by strings or wires, place them on balconies, inner and outer walls and most other vertical surfaces. The filt from which they are made from hardly needs any maintenance. The filth and leftover dirt can easily be washed away or can be shaken off. The tarpaulin on the back side is virtually indestructible. Occasionally you can brush off the limescale that accumulates at the bottom of the pocket with a bristle brush. 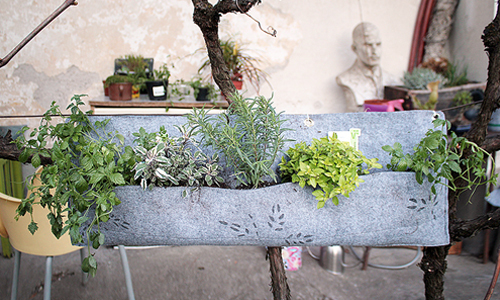 If needed, you can swap around pockets between different areas (for instance, in early spring when we wish to accustom plants to outdoor conditions) and vice versa. 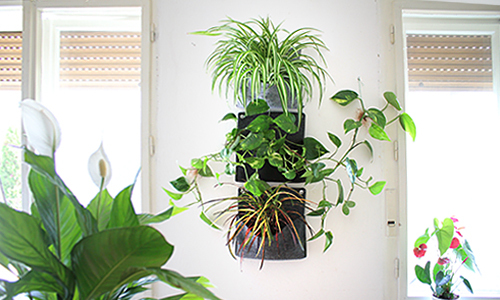 From individual pockets or systems you can create a larger vertical garden that envigorates your living room with decorative plants that also act as very efficient air cleaners or your kitchen with various herbs that keep them at your fingertips at all times. We provide single, double and triple vertical pockets and triple horizontal pockets. If needed, we can create a custom systems that will corespond to your room perfectly.